It looks like Virgin Mobile in the US will have a couple of new Android smartphones, one of those is the new LG Optimus Slider which we heard about recently, and it comes with Android 2.3 Gingerbread. The LG Optimus Slider features a full slide out QWERTY keyboard plus a 3.2 inch multi-touch touchscreen display, and a 3.2 megapixel camera, plus WiFi and Bluetooth, and a microSD card slot. 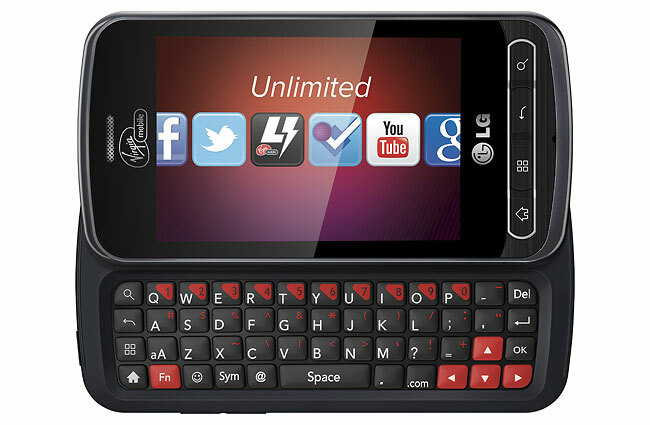 The LG Optimus Slider will be available from Virgin Mobile from the 17th of October for $199.99 on Virgin Mobile’s pre-paid contracts.